Borla XR-1 Tuner - Dezod Motorsports Inc - Home of the automotive performance enthusiast since 2002. The XR-1 Tuner represents the latest technology in vehicle performance electronics and is engineered to improve torque and horsepower in turbocharged cars. It features a fast 48Mhz processor and SMD construction for best resistance to shake and vibration conditions as well as improved EM and RF performance. Each XR-1 Tuner application has been tuned and tested to enhance your vehicle’s driving dynamics, while keeping OEM protections and drivability intact. The software is specifically tuned for, and the hardware is designated for each vehicle to provide maximum benefit. 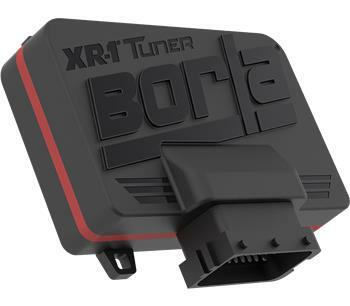 The XR-1 Tuner is very easy to install since it has been designed as a plug and play device. It can be installed in 10-15 minutes in most applications. It is also quick and easy to disable the device; simply plug in a by-pass connector to return to factory power level. You can plug in at the track, unplug for the street. Its stealth design leaves no trace in ECU flash memory and it is not affected by dealer updates to the ECU. The XR-1 Tuner can be completely removed in 10-15 minutes if you want to return the vehicle to stock for any reason. The kit includes all necessary wiring and easy-to-follow instructions. Quickly enabled and disabled. Plug in at the track, unplug for the street. Stealth design leaves no trace in ECU flash memory. Includes all cables and easy-to-follow instructions. Not affected by dealer updates to the ECU.